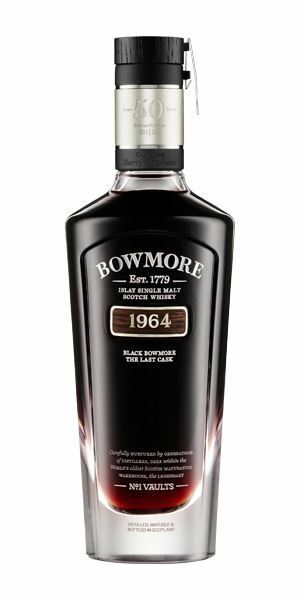 If Black Bowmore 50 Years Old had to be summed up in one word, ‘immense’ would be quite fitting. But thankfully, Dave Broom has provided a few more descriptors to express his thoughts on this ‘insanely complex’ single malt. 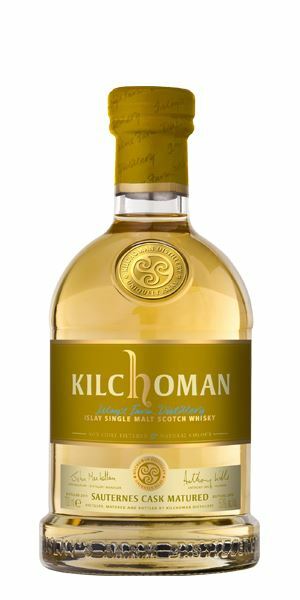 Kilchoman then contributes further to the high scoreboard with its ‘lean, spare’ Original Cask Strength expression. But then things get a little confusing with the distillery’s Sauternes Cask Matured, which delivers a phenomenal nose, but a disappointing palate. Scapa Glansa leaves our chief engineer wanting more, while Speyside distillery gives a prime example of how good whisky doesn’t need to be over-complicated – sometimes less is more. 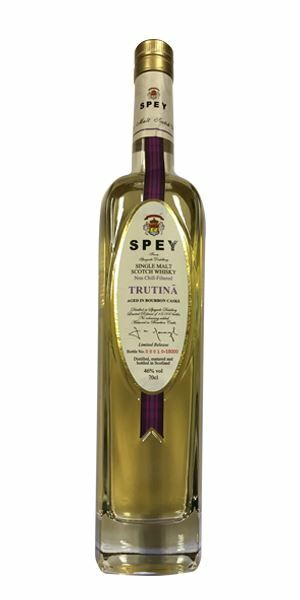 This week’s tasting notes end with a second, ‘rather lovely’ Speyside distillery bottling. Immense concentration of aroma. Tropical fruit from the beginning: all pineapples, mangos and light tayberry. Then there’s dark liquorice, green mango skin and touches of rum-soaked raisin. Massive rancio notes begin to develop and influence the rest of the nose, as all the elements flux and compress. 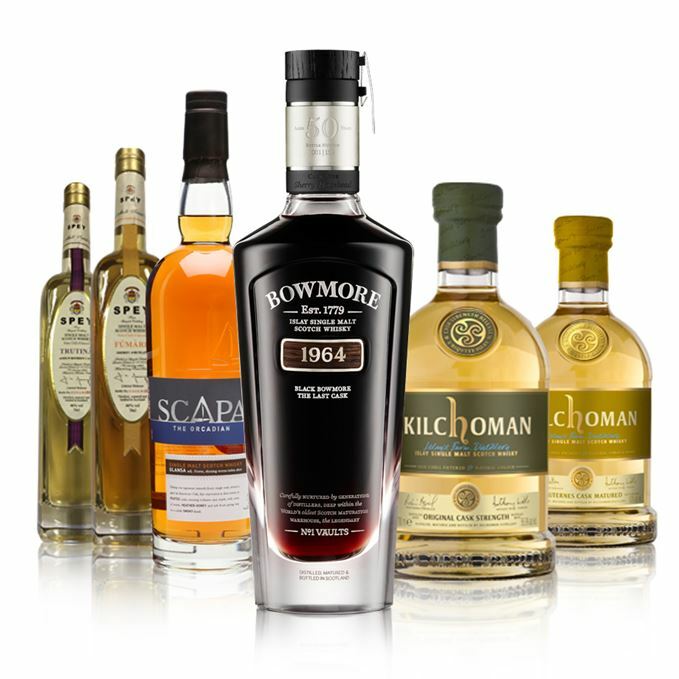 There are moments when you think it’s an ultra-aged Jamaican rum, then Cognac or maybe Armagnac, before smoke drifts you back towards Islay. A nuttiness develops in the background, all hazelnut purée and walnut. Insanely complex. For a second you think that the wood has taken charge – there’s earthiness, some tannin, dry leather, but then waves of fruit begin to grow and spread across the tongue accompanied by incense and vestigial smoke, which has added its exotic nuances to every element. The sensation is like sunlight slowly creeping into a darkened chamber as all of the elements on the nose brighten into this slow crescendo. Massively long and complex. Dried fruit, light oak, then cigar ash and a final burst of fruit. It is simultaneously fresh and savoury, bold yet evanescent. The smallest sip is transporting. As it is well beyond the budgets of pretty much everyone, I can only hope that those who buy this open it and share it (or the phial that comes with it), because it would be a crime if this remarkable whisky became little more than a sculpture. The final movement of Mahler’s 8th. Immediately smouldering, with more than a touch of herbal, mineral, dusty mezcal-like notes alongside nettle, blackcurrant and light turmeric in the background. Vibrant, but with real sweetness of spirit. With water, some honey on porridge, then burning grasses. The smoke hits from the off, almost mesquite-like, then a little pear adds some fleshiness. It dries slightly into brick dust, and then the sweetness develops more fully with classic Kilchoman scallop. Water accentuates the agave syrup nature of things along with hot sand. Balanced with some depth. Like it. 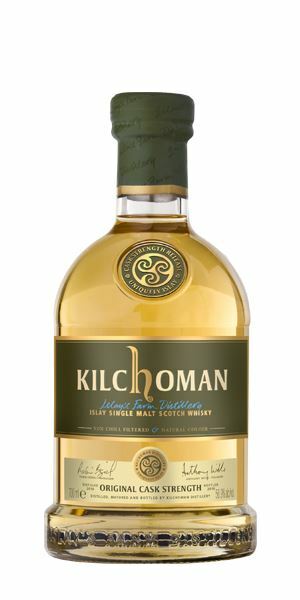 The quarter cask has helped to add some weight, but this is Kilchoman in a lean, spare mood. Dreaming of the Sonoran desert on Saligo beach. Rich colour and a vinous note, with sticky barley sugar sweets, dried peach, overripe melon and cooking quince, all of which combine to shunt the smoke back into the mix. This also has the hot sand/turmeric element. Complex, rich and appealing. A drop of water takes things into deep manuka honey with an added savoury element, and then slowly reveals sweet cattle cake and wet leather. Really promising. Hang on. What’s happened? The boldness and layered element of the nose have now been overtaken by a musty element. Wet wood and more smoke, which only adds to the dryness. Beating an old sofa. Baffling. The nose is magnificent, the palate… flawed. Just a poor cask? After dessert, Norman took her to meet his mother in the cellar. 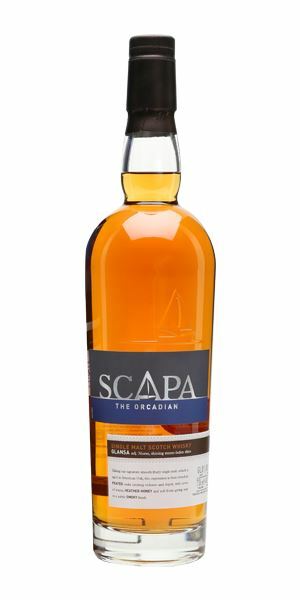 Starts with Scapa’s plump fruits to the fore, apricot jam, a hint of custard and then honey. In time, more oak comes through and begins to take up a dominant position while never drying things – if anything, they get sweeter. Baked fruit then tries to shout from the background. The smoke is almost invisible and needs water to emerge, and when it does it’s char-like. A soft start, with touches of juicy fruits, alongside light vanilla. Much lighter than the nose suggests and lacks impact in the centre, where things seem to dissolve before picking up to a toffee-accented back palate. A slight soured note. Sweet, with blackberries and a suggestion of smoke. A peated cask whisky. It’s a perfectly decent dram, but I just wanted more. Scapa… and smoke. A higher strength might have helped. Sitting down at the table, she nibbles on an apricot tart while he puffs raffishly on a cigarette. An intriguing nose that somehow manages to combine Dolly Mixtures, strawberry, white peach and light wood smoke. It has a little more weight than the Trutine (below), along with a hint of oiliness and cereal. There’s pumpkin with water. Roasted barley elements add a perception of nutty crunch to what is a pretty energetic palate. Slightly funky on the start, with the smoke in the background. Sweet and finally opens into smokiness. 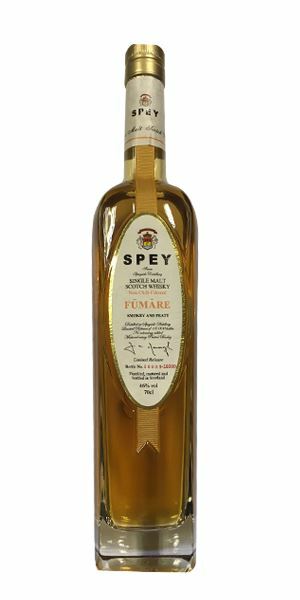 Fresh, balanced, lightly smoky and, though simple, it is a decent dram. Speyside is finding its feet. As he was eating an energy bar, his neighbour lit an autumn bonfire. A pale porcelain young thing. Light from the off, with a slight touch of dry (lemon)grass and cereal, which flits off almost as soon as you’ve noticed it, leaving aromatic, floral touches alongside cool mint, a little chalk, then juicy lemons. There’s no loss of heat with water. Sweet, spring-like aromas, white fruits and bouquets of wild flowers, then a sugar sweetness with a slight sticky element reminiscent of Pavlova. Very low cask influence; this is all about the distillate. As on the nose, water has little influence, bar a slight fattening in the centre. High-toned and rather lovely. It does develop a slight edginess with time, so drink quickly. Jean Simmons rushes down a staircase and across the lawn. Batch 72 25/11/2016 Highland Park Fire, two Wemyss Batch Strength whiskies and a trio of Tomatin travel retail releases. Batch 70 11/11/2016 A quartet of Milroy’s of Soho whiskies plus recent releases from Arran and Wemyss Malts.